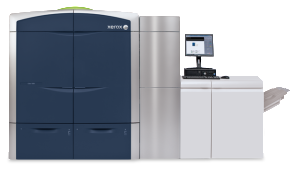 Xerox Color 800/1000 Presses deliver sharp, rich, digitally mastered image quality. Our clear dry ink station adds impact to documents – running at rated speed. Our Automated Color Quality Suite of tools allows you to drive more high quality jobs through your shop and reduce costs.